One of Queensland’s more accessible wilderness areas is now the focus of a new 5-day, 4-night guided walking adventure. Trekking specialists, Tropical Treks are launching the Cooloola Great Walk experience for groups of up to six trekkers led by an experienced guide. 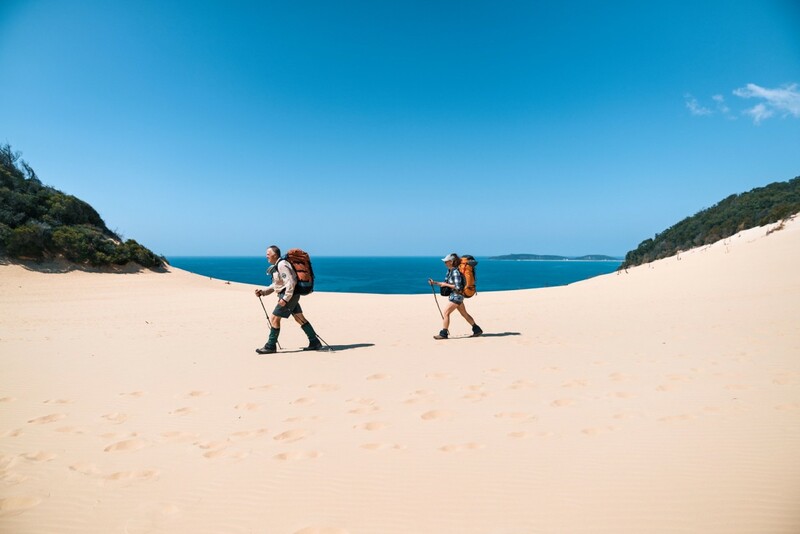 The 88km walk takes trekkers across the extraordinary Cooloola Sandmass, a vast coastal dune system that dates back 500,000 years. ‘Cooloola’ is from the local Gubbi Gubbi Aboriginal people and translates to the sound of the wind through the trees. The walk takes in the pristine coastal area from Noosa Northshore, across the Sandmass to Rainbow Beach. Along the way the guide will point out the region’s flora and fauna including the array of wildflowers, ground parrots, feathertailed gliders, koalas and wallabies. During the winter and spring migration seasons, pods of humpback whales can also be spotted just off the coast. The trek includes all meals and drinks and you can hire you camping kit or bringing your own camping kit and supplies is also an option. The trek uses walkers’ camps where toilets and freshwater is available. The tours commence from Sunday 22 April and are held each fortnight until 23rd September. Bookings for the 5-day, 4-night guided walking adventure can be made through Tropical Treks. Tropical Treks also offer shorter halfday and full day experiences, book your walk with Tropcial Treks Guided Bushwalks.